The final challenge that I will give you is to share your accomplishment. 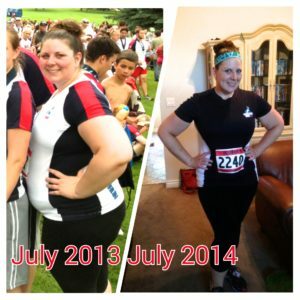 If you are proud, post your results and before and after photos on our Facebook page. If you are a little more shy, send me your results and photos (hiitmamas@gmail.com) and I will chop off your head and post them anonymously (with your permission) on our upcoming WODs. You will also get a WOD named after you for sharing. It will be such a motivation and inspiration to all of our new 90 Day Challenge Mamas to see what you have been able to accomplish during your 90 Day Challenge. 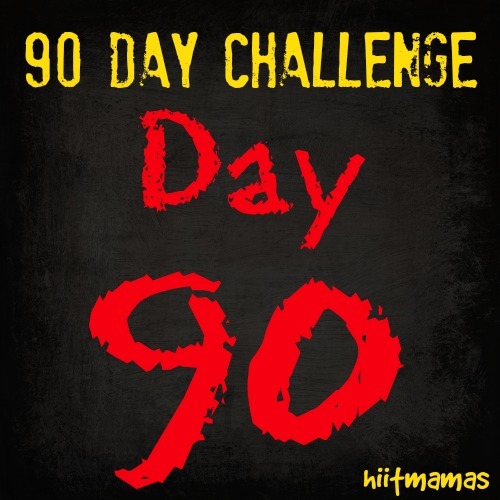 The next 90 Day Challenge will begin May 1! Almost 3min less than in January!